It's the Vincentennial. Vincent Price would have been 100 years old this year. 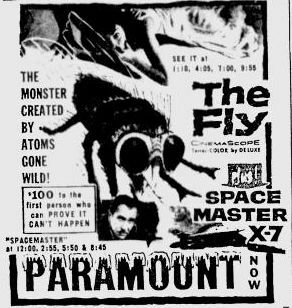 Here is an ad for one of the movies that made Price famous, The Fly from 1958. 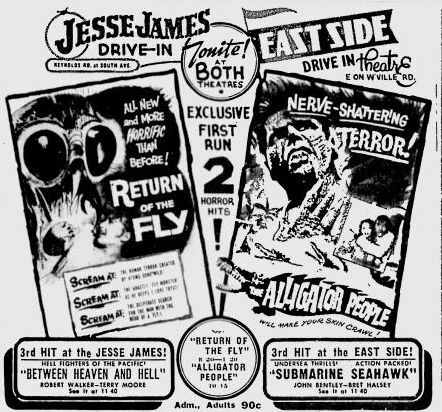 Here's an ad for the sequel to The Fly, Return of the Fly, from 1959. 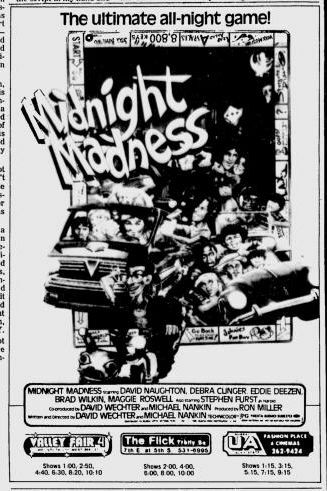 Here's an ad for the teen comedy Midnight Madness from 1980. It stars David Naughton, Stephen Furst and Michael J Fox. I couldn't find the trailer, but here's a great scene in the movie that takes place within an old, vintage video arcade. You can see a bunch of awesome games machines like Death Race, Indy 800 and Star Fire.